This snack is not big but it is clever. 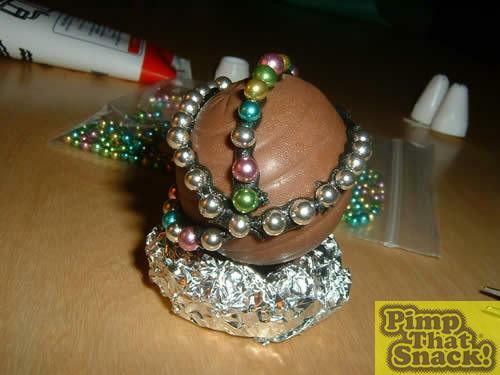 This Creme Egg is getting a bit of pimpin' bling treatment innit. 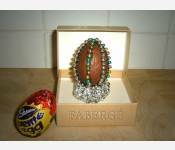 Behold the Fabergé Creme Egg. 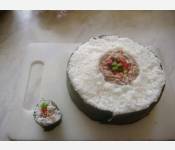 Tube of black designer icing. 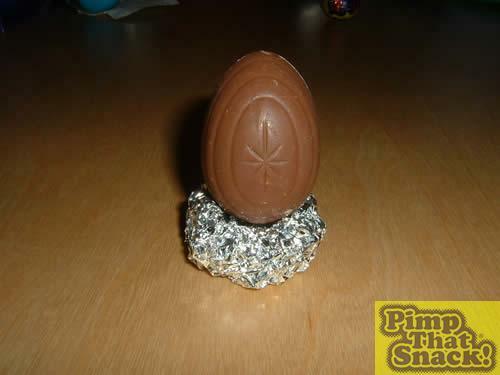 Unwrap your pre-chilled Creme Egg, and place it on a silver foil holder (that you made earlier – as in 'here's one I made earlier' a la blue peter). 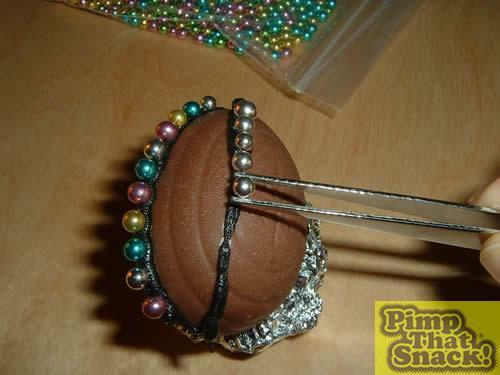 Carefully apply your icing in your chosen design to the surface of the egg. 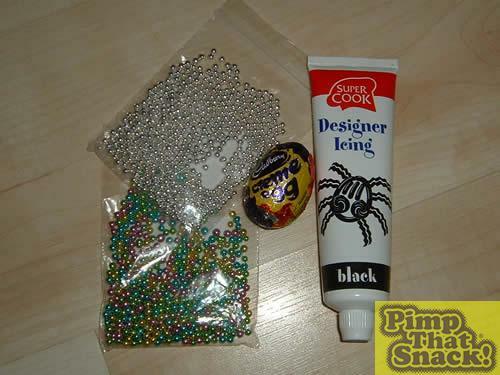 You really do need the right tools for the job on this pimp project, so arm yourself with a pair or tweezers or pincers (I sterilised these with boiling water – in keeping with the health and safety at pimp regulations 2006). 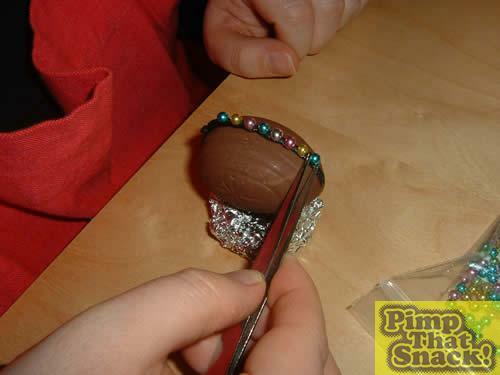 Now its time to start blingin' up your egg with your multicoloured metallic balls. 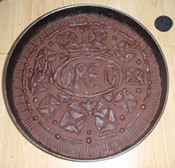 Take your time with this though – this is precision work. You may even need a watchmakers monocle to help you get a better view.